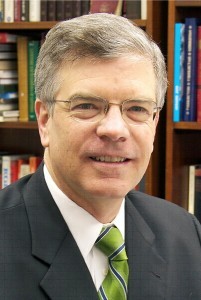 Jeffrey Trimble is Executive Director of the Broadcasting Board of Governors (BBG). As Executive Director, Trimble advises the Board on developments in international broadcasting and manages the BBG staff, which provides the Board with technical, professional, and administrative support as well as strategic guidance and program oversight. Mr. Trimble joined the BBG in 2007 as Director of Programming. In that position, he managed the development of BBG-wide strategies, plans and objectives for coordinating, developing and improving the broadcast programs of the BBG’s broadcast entities: VOA, Radio & TV Martí, Alhurra, Radio Sawa, Radio Free Asia, and Radio Free Europe/Radio Liberty. Prior to assuming his position at BBG, Mr. Trimble had a 10-year career at Radio Free Europe/ Radio Liberty (RFE/RL) where he was Acting President from November 2005 until March 2007. His other RFE/RL posts were Counselor to the President for Programs and Policy, Director of Policy and Strategic Planning, Director of Broadcasting, and Associate Director of Broadcasting. Before joining RFE/RL, Mr. Trimble held a variety of positions with U.S. News & World Report from 1982 to 1997, including New York correspondent, diplomatic correspondent in Washington, Mediterranean Bureau Chief based in Rome, Moscow Bureau Chief, Deputy Foreign Editor, Foreign Editor and Assistant Managing Editor. Mr. Trimble received a master’s degree and a bachelor’s degree from The Ohio State University. A fluent Russian-speaker, he did graduate studies in Moscow, and in 1991-92 was a fellow at the Joan Shorenstein Center on the Press, Politics and Public Policy at Harvard University and at the Harvard Russian Research Center.